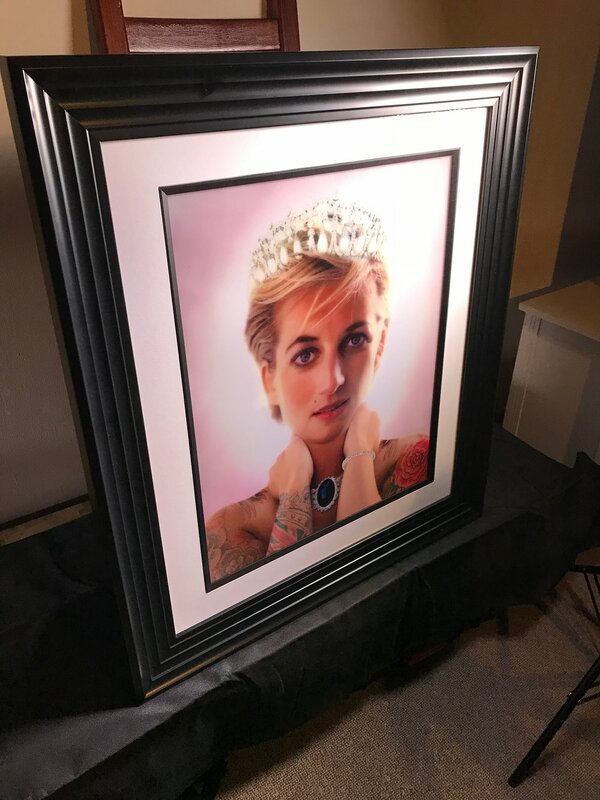 JJ Releases a very unique Diana Lenticular Print to celebrate the Royal engagement..
To celebrate the Royal Engagement JJ Adams released this very unique Diana Lenticular Print on the 1st of December. A low Edition of only 50. The artwork has been painstakingly re-worked from the original Diana release from 2014 and has been turned into a Lenticular medium print that had been many months in the making. While it may look similar at first, it is in fact very different. The Lenticular edition works by utilising multiple images and perspectives that have been created separately and then manipulated making the artwork slowly change depending on your viewpoint angle and as you walk past it. You have to see it to believe it, watch the short video below.